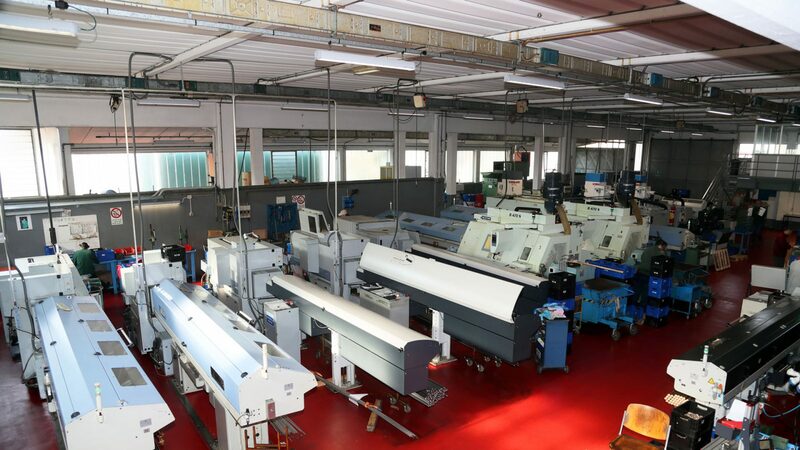 Tecnoserie is a precision turnery, specialized in high-quality serialized processing. Thanks to our long experience, highly qualified personnel and use of state-of-the-art machinery and systems, we offer high quality products and an always reliable certified service. The quality of our work has allowed us to gain the trust of large multinational companies that for many years have chosen Tecnoserie as their supplier of high precision components, thanks to a smart warehouse management and integrated logistics. Our company occupies a production site of 2400sqm (1600 covered) and has 25 CNC machines and constantly updated equipment, as well as a metrological room where the instruments are calibrated periodically, according to criteria established by precise quality specifications. Our machinings include high precision components, high precision turned parts, hydraulic components, turned parts for hydraulic and large-scale turned parts. Our 500sqm warehouse and our integrated logistics, adaptable to every customer needs, guarantee a fast and reliable customized service; over 85% of the finished components of each customer is in stock.